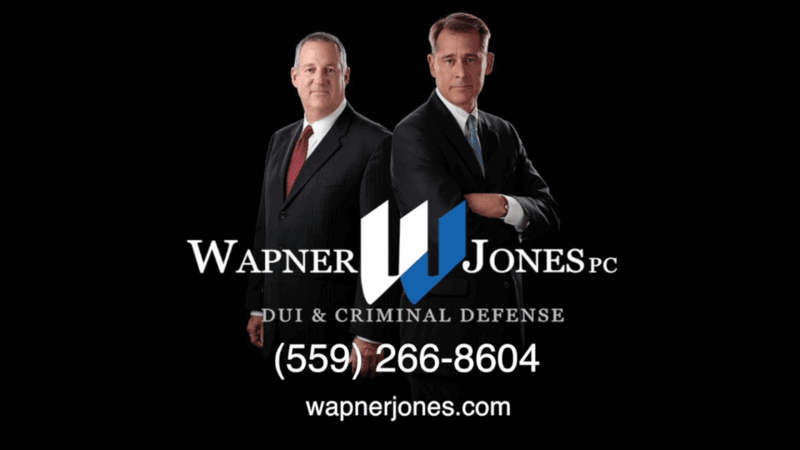 Fresno DUI Attorney | Wapner Jones, PC | FREE consult! Getting arrested for driving under the influence is frightening, and it can bring scary consequences that can threaten your reputation, career, and freedom. But there is hope. Thirty percent of all DUI arrests in California end up in something other than a DUI conviction. What you need is to understand your rights and to work with a skilled DUI lawyer who will tirelessly defend those rights and your liberty. At Wapner Jones, P.C., we concentrate on DUI defense, unlike other defense lawyers who might work on only a few DUI cases from time to time. Our focus means that we are always on top of the latest developments in DUI law and defense strategies. Not only are we on the cutting edge of DUI defense, but our two partners also bring 58+ years’ combined experience to the courtroom with insights as former prosecutors. We will use all of our skill, connections, and tenacity to defend our clients from DUI charges. Discover how our unwavering, trial-tested defense can help you anywhere across Fresno, Kings, Madera, and Tulane Counties, as well as across the entire Central Valley. Call our practiced Fresno DUI lawyers today for a FREE consultation! Arrested for DUI? You have 10 days to request a DMV hearing! Call (559) 257-4707 for your FREE consultation from our experienced Fresno DUI defense firm. Why Choose Our Fresno DUI Lawyers? At Wapner Jones P.C., both of our partners are former Deputy District Attorneys. We know how the police and prosecutors investigate and build a case against you. Mr. Wapner is also only one of three attorneys in the region to be a Field Sobriety Test certified instructor, well-versed in the forensic issues involved in a DUI case. Additionally, Mr. Jones is a Police Academy Instructor, and has been so for over a decade. Both of our partners are also founding members of the national DUI Defense Lawyers Association. They have further garnered legal accolades such as a perfect 10.0 Superb Avvo Rating and inclusion in the National Trial Lawyers: Top 100. We understand law enforcement, the prosecution, and the nuances of DUI cases, and we know the criminal courtroom—from both sides of the bench. Our more than 58 years of combined experience has meant legal victories for countless clients. Just because you were arrested for drinking & driving,it does not mean you are guilty of DUI.